New players at All Irish Casino are embraced with all the leprechaun luck that’s possible when it comes to the welcome bonus at this online casino operator. In such a saturated market, casino operators have to capture the imaginations of players everywhere, as a way of enticing them to join their site and they all do this in different ways. Some casino operators like to entice new players by hosting huge gaming portfolios, from industry-leading providers like NetEnt or Microgaming, while others lay on different types of welcome offer and varying promotions. However, one thing that is universal at all online casinos are the opening and closing hours. There aren’t any! Gameplay is accessible to players 24 hours a day, seven days a week. This isn’t available in land-based casinos, which all feature opening and closing hours and human workers. With all this being said, casino bonuses are one of the main reasons why players join, sign-up and deposit on online casino sites. If you are regular casino player, you can enhance your gaming experience with the many casino bonuses available, offering deals for every playing style. At onlinecasino.ie, we’ve looked through and examined a wide range of casino bonuses and offers online to help you decide which are the best casinos to join and win big payouts and jackpots from. We’ve looked at the welcome bonus that’s available at All Irish Casino, which is available to new customers and offers plenty of opportunities and rewards. New players at All Irish Casino can enjoy 22 free spins on some of the most popular casino games on the site, including Aloha, Starburst, Joker Pro or Jackpot 6000. These work as a no-deposit bonus, meaning that you don’t even have to make a deposit to be eligible for these. Simply register and then they’ll be immediately credited to you. Then, once you’ve made a deposit, you can receive a 50% bonus up to €500 when you make a first and second deposit on the site. To be eligible for this offer, players must make a minimum first deposit of €10. There are also wagering requirements set at 40x, which means that you cannot make a withdrawal until these have been fulfilled. The bonus must be wagered within a period of 30 days. Unlike many other casinos, there is no bonus code required at All Irish Casino. It’s not just new customers that are given extras when they join All Irish Casino, as there’s plenty for existing and regular players to sink their teeth into on the site. You can find everything you’re looking for on the News and Promotions section, which is located near the bottom of the homepage. There are some excellent promotions on the site, which are regularly updated. You can earn cashback bonuses on some of the most popular table games, including blackjack and roulette. This page is where you can also find the latest news on the site, including articles about new slots, free spins and other bonuses. One of the key technological advancements that the world of online casino can be grateful for is the introduction of the mobile casino. Having a mobile casino allows players to enjoy and play a range of casino games using their smartphone or tablet devices, or alternatively, while they’re on the move. 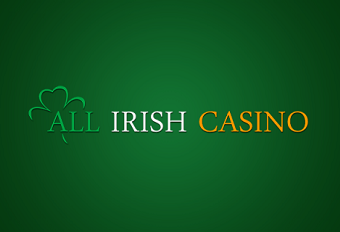 All Irish Casino is available for both desktop and mobile players and while you can play on a browser, there is also a dedicated downloadable app, although with a much smaller games portfolio. You can still find some outstanding video slots on the app though with the same jackpots there as you’d find on the desktop equivalent. When you accept any promotion or offer based on deposits, free spins and other cash prizes, it’s important to first check the specific terms and conditions of use for your bonus before enjoying it. All casino bonuses feature playthrough and wagering requirements and All Irish Casino have set theirs at 40x, meaning that you must wager your bonus 40 times before being able to make a withdrawal. Once the welcome bonus has been received by the casino, players must first play with their own money before playing with the bonus amount. Players who make a deposit via e-wallets like Skrill and NETELLER are not eligible to participate in the welcome bonus. If you have any concerns, the customer support is very helpful. You can contact the casino via telephone, email and live chat.